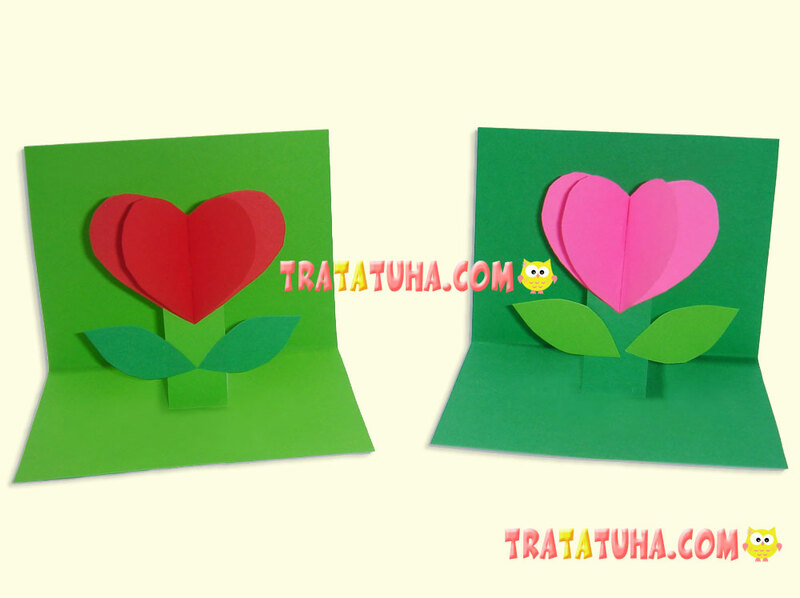 Wonderful and very simple 3D greeting card Flower-Heart is a good version of creative work for the children of kindergarten age for Saint Valentine’s Day. 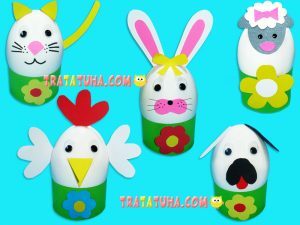 Children can make such an original and cute surprise for mother, grandmother, sister, to please all dear people. The graphite pencil, scissors, glue stick. 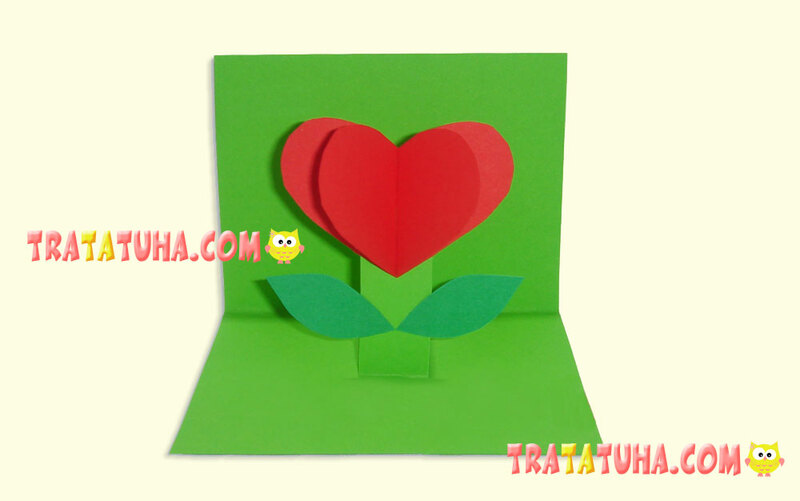 How to make a 3D Flower-Heart greeting card? It is very easy and fast. 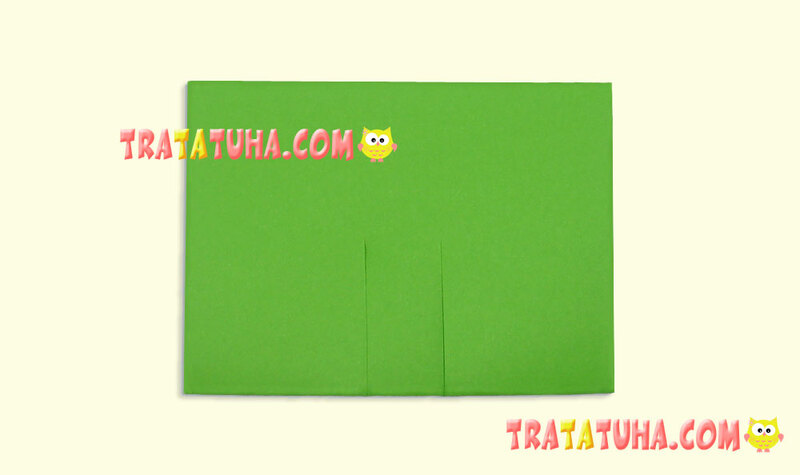 First fold the cooked green cardboard in half. The size can be absolutely any, on a piece of cardboard, its half or even a fourth. 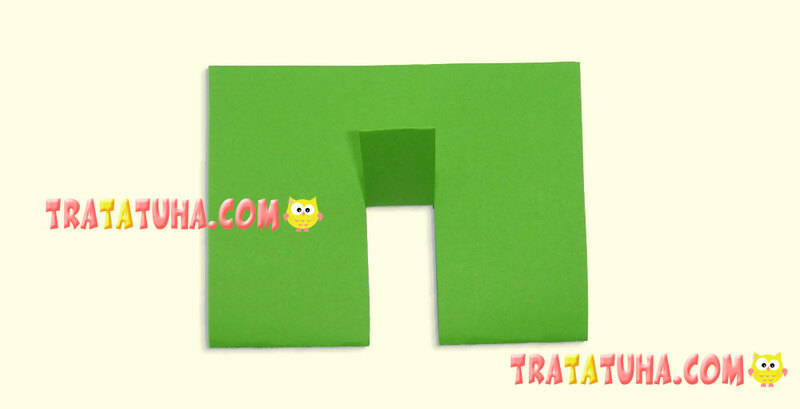 The main thing is to cut a rectangular shape. 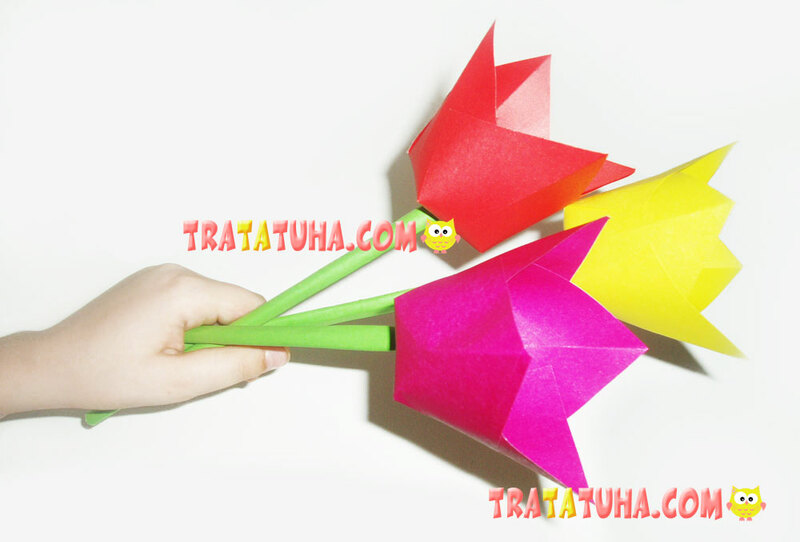 In the center of the folded cardboard, from the side of the fold, you need to make two parallel cuts, which will subsequently be the stem of the flower. 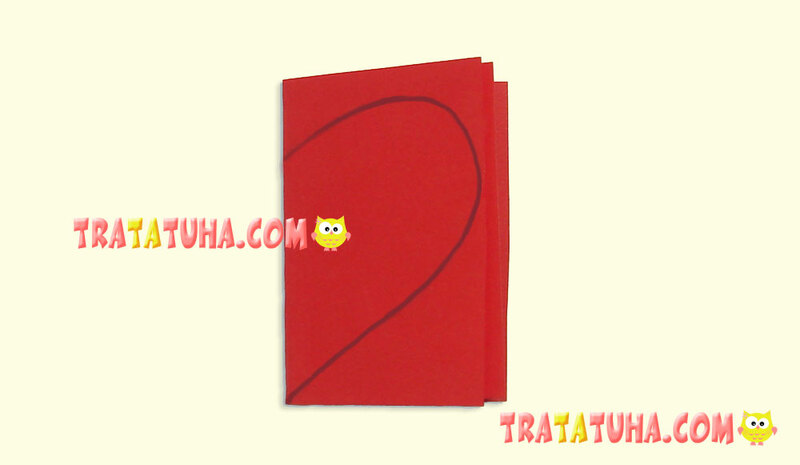 The width depends on the size of the postcard, so that the stem is not very wide, but not too thin. Cuts are made, now bend the resulting double strip and smooth down the fold. This will define the boundaries of the future stalk. 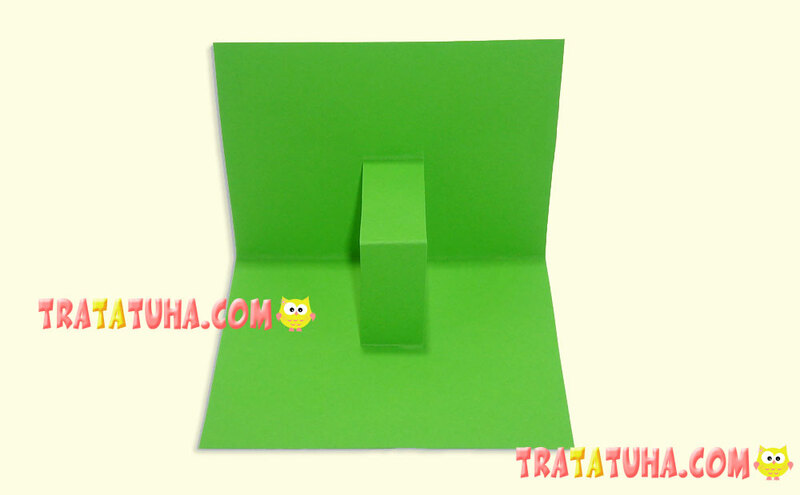 Open the carton and redirect the cut inwards, while making the folds in the center and sides of the strip, so that you get a stand with a right angle. The base-frame of the 3D postcards is ready. 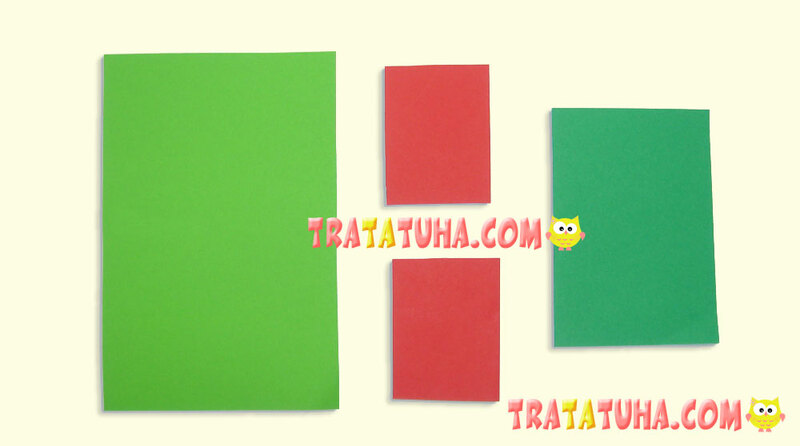 Prepare two rectangles cut from the red colored paper. Fold them in half, and then one of them fold one more time and in the center of the other. 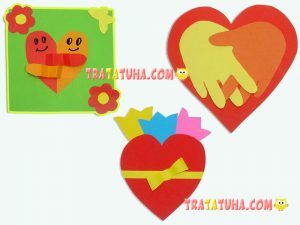 On the top one draw a half of the heart, starting from the bend. 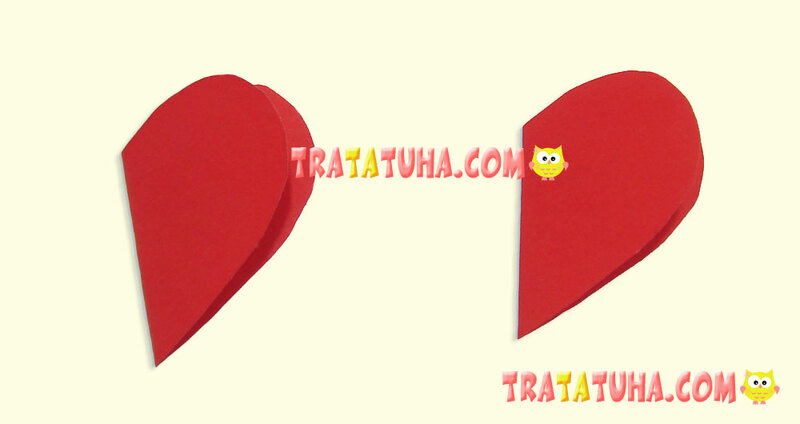 Cut along the contour and you will get two identical hearts at once. 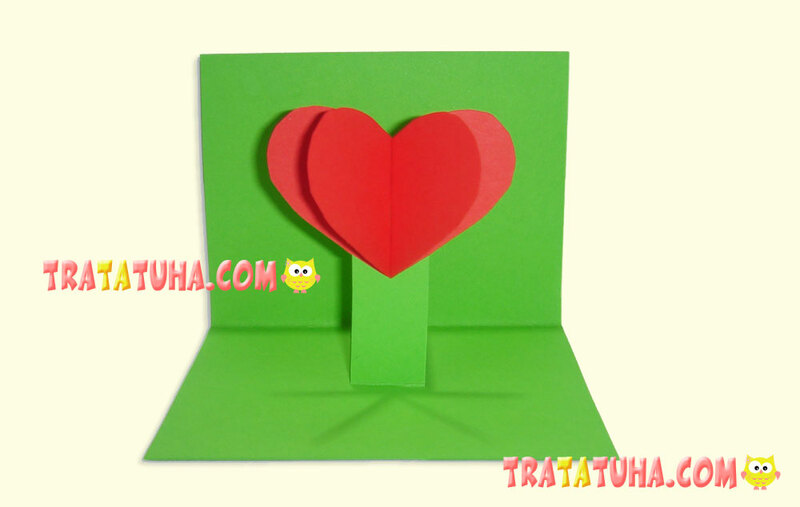 From green paper or cardboard cut two simple leaves. 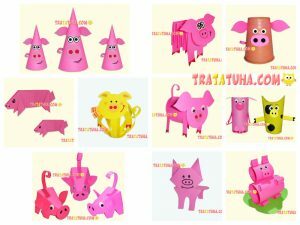 Everything is ready, it’s time to start creating 3D postcards for Valentine’s Day. 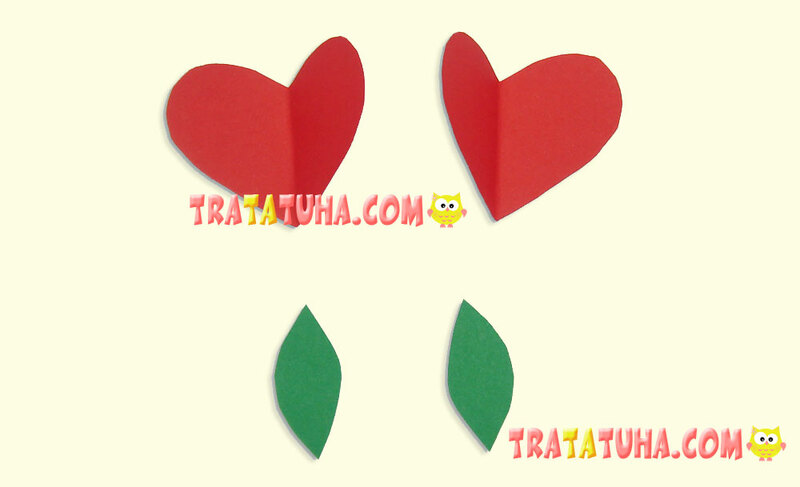 To do this, first glue one heart to the stalk, and then another one on the other side. 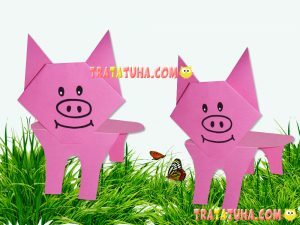 You need to try to stick them as close as possible to each other so that there is no lumen. 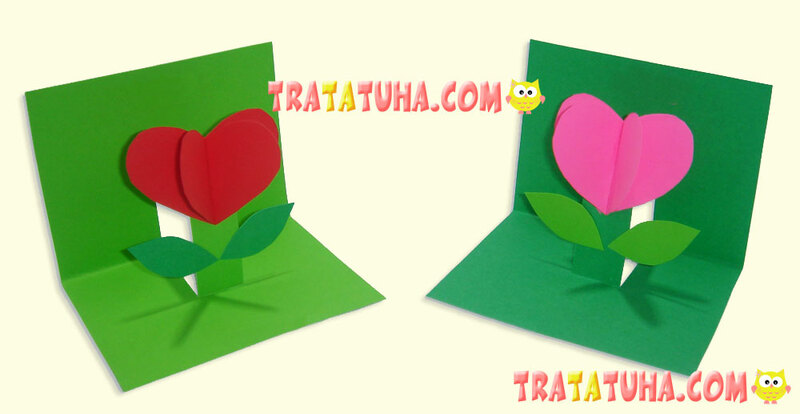 Now add the bottom leaves and the 3D flower in the shape of a heart greeting card is ready. The children can experiment with different shades of green frame and leaves, perhaps someone will like it more in turquoise or blue. The flower itself can also be different: pink, red, orange.